Visitors to the Royal Bath & West Show were treated to a wide range of dairy activities to celebrate World Milk Day on Thursday (1 June). Established by the Food and Agriculture Organisation in 2001, World Milk Day recognises the importance of milk as a global food. 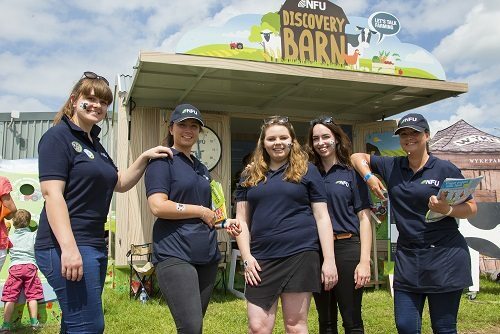 Young farmers and the NFU got involved at the Royal Bath & West Show to promote the Happy Cows campaign, with exhibitors offering face painting, milk tasting, butter making and live milking demonstrations in the Farming for the Family feature.